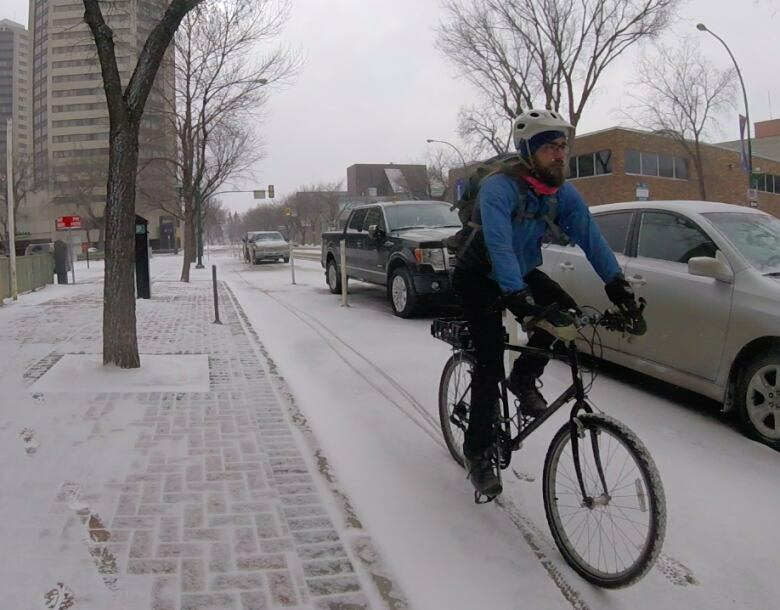 Saskatoon cyclist Dave Palibroda records the view from his bike with a chest-mounted GoPro. On Monday, he got more than he was expecting. He wasn't forced off the road or hit with a plume of black exhaust smoke, as in previous encounters. He and the driver made no physical contact. 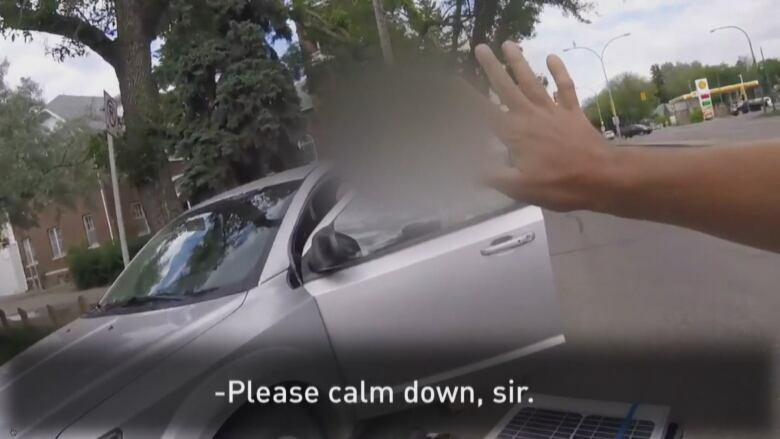 But cyclist Dave Palibroda says his caught-on-video verbal exchange with a Saskatoon motorist on Monday is definitely "the angriest anyone's ever been at me." "He seemed only calm when he asked if I wanted to fight," said Palibroda, laughing nervously. Palibroda, a Saskatoon green building and energy management consultant, was biking home after work along Broadway Avenue — in the middle of the far-right lane — when the driver of a silver SUV passed him in the next lane and also appeared to honk his horn at Palibroda. "There's a difference between a nice, friendly honk-honk and this was a lay-on-the-horn, very aggressive, get-off-the-road kind of horn," said Palibroda. The longtime Saskatoon resident captured the SUV on video using a small GoPro attached to a backpack strap over his chest. Palibroda says he frequently films Saskatoon streetscapes mid-ride to capture the random flicker of life. "There's so much stuff that happens, whether it's funny things or neat things or historical things." But the video also comes in handy in court, as it did for a previous encounter with one driver he says ran him off the road. Palibroda handed his footage over to the Saskatoon Police Service. "The guy ended up getting charged," he said. "And the judge even said that if the prosecutors or police would have asked for a stiffer penalty, he would have awarded it." Cathy Watts, the co-chair of biking advocacy group Saskatoon Cycles, thinks there's even more to Palibroda's video diaries than that. "He, I think, feels he has just as much legitimacy out there as all the rest of us do," said Watts. "So he's just documenting it. He's telling the story of what it's like." After the silver SUV passed Palibroda on Monday, Palibroda speedily biked up two blocks to catch up with the vehicle, which turned onto a side street and stopped by the side of the road. "I wouldn't recommend everybody do it because you can get yourself in a dangerous situation," said Palibroda. "But again, I was just trying to educate." The video — which Palibroda Tweeted out, complete with electronic score and opening title cards — shows him biking over to the vehicle, with Palibroda saying he tapped on the vehicle's window as he rounded the corner. After stopping, the driver emerged from his vehicle. Palibroda: "I just want you to know, sir — "
Man: "Move over, you idiot." Palibroda: "I'm legally biking where I should be. I have a sheet here." Palibroda said he was trying to reach into his backpack to produce the City of Saskatoon's 2018 cycling guide. The guide includes a diagram that Palibroda says illustrates his legal right to ride in the middle of a road lane. A city spokesperson said Wednesday "the graphic depicts a bike travelling in a straight line. The bylaw is the authority on cyclist position." The law in question, Bylaw 6884, says bikes should be "as close as is reasonably practicable to the right-hand curb." The parking spots by the curb of Broadway Avenue means riding in the middle of the lane there is safest, said Palibroda. 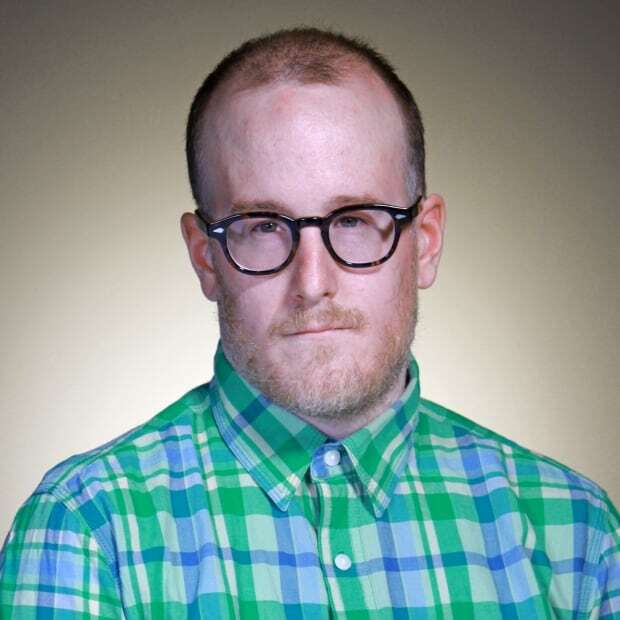 "I just basically wanted to say, 'Hey, I was doing what I should do. No need to get so angry,' you know. There was no inconvenience. Didn't slow him down." The cycling guide never came out, however, as seen on the video. Man: "You need to pull over." Palibroda: "I have a cycling guide for you, sir. Calm down, sir. I just want to educate you on the rules of the road. Please." The driver accused Palibroda of attacking his car and repeatedly swore at him, telling him to get off the road before finally getting back into his vehicle. While pulling out, the driver rolled down his window and offered Palibroda an invitation. Palibroda: "No, I just want to educate you." Man: "Then get off the road." Palibroda said he was not playing "gotcha." "I'm just trying to live my life and bike down the road," he said. "And if somebody happens to do something, that's their fault. I'm not trying to catch anybody." CBC News has attempted to reach out to the driver so that he can tell his side of the story. 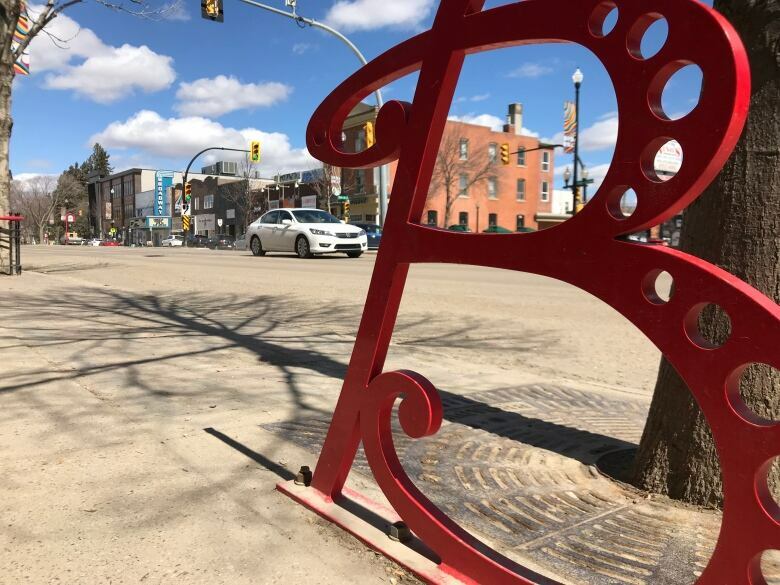 The Saskatoon Police Service, which enforces the city's bylaws, has been asked to weigh in on whether Palibroda was legally in the right or not. As for Watts of Saskatoon Cycles, she said she believes attitudes toward cyclists have improved in the last few years. Still, she added, "there is a few of those people out there who feel they own the road."